Limited space remains available for boys age 15-18 to enroll at this summer's Cal Varsity Rugby Camp, the premier on-campus student-athlete experience for aspiring collegiate rugby players, held July 24-27 at the University of California. Now in its third decade, Cal Varsity Rugby Camp continues to be a life-changing experience for campers who improve their skills and mature as young men under the guidance of U.S. Rugby and Cal Athletics Hall of Fame head coach Jack Clark, fellow U.S. Rugby Hall of Famer and associate head coach Tom Billups, and assistant coach and former U.S. international player Mike MacDonald. The trio leads a staff that includes current varsity players and experts across a range of disciplines, offering campers significant experience both as a rugby athlete and a prospective college student. The time-tested success of Cal Varsity Rugby Camp is evidenced by the high rate of returning campers and the continual arrival of campers whose fathers also benefited from the camp in their teens. Campers hail from across the nation and around the world, a profile consistent with the undergraduate student body at the University. Overnight dormitory accommodations are provided on campus, with on-field training balanced with off-the-field sessions in a variety of topics including rugby tactics and strategy, rugby laws, academic advising, strength and conditioning, nutrition and drug awareness with Department of Athletics professionals and other special guests. In addition to their daily training sessions and an orientation of the Simpson High-Performance Center, campers are led through their days at seminars and clinics, with competitions featuring controlled match conditions that evolve into full contact. All meals are provided on campus, with evenings dedicated to valuable camper feedback before overnight campers checked in at an on-campus dormitory. All attendees are provided personal camp jerseys and campers' hydration needs are fulfilled by camp sponsor Gatorade. Laundry services of training kit are tended to each day by Intercollegiate Athletics Equipment Services, and campers are supervised 24 hours a day, including at the dormitories, where the staff resided with the campers. The final day of camp features "Golden Bear Rules," a controlled-scrimmage-tournament that culminates in a Grand Final on the superb Witter Rugby Field. Family and friends in attendance will also enjoy seeing campers receive their certificates of completion, along with several individual awards, at the conclusion of camp. Participants at the Cal Varsity Rugby Camp benefit from the same high-performance environment that has helped the Golden Bears, founded in 1882 and the oldest team in Cal Intercollegiate Athletics, earn 135 All-America honors and make 714 appearances and counting on the U.S. National Team for 15s. Campers learned the same fundamentals that have served as the bedrock for Cal rugby's 28 national titles in 15s earned since 1980, five consecutive 7s crowns at the Collegiate Rugby Championships from 2013-17 and two gold medals at the Summer Olympics, where former Cal standout Danny Barrett competed for Team USA at the 2016 Rio Games and continues to shine along with other Rugby Bears on the international stage. 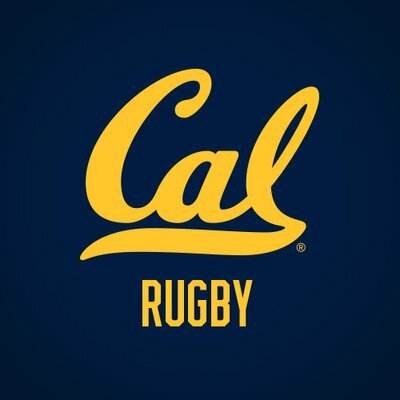 To register for Cal Varsity Rugby Camp, visit calsportscamps.com/rugby. For questions regarding the camp registration process, please contact US Sports Camps at (800) 645-3226. For all other camp-related questions, please contact Cal Rugby Assistant Coach Mike MacDonald (510) 643-1971.